Manufacturer & Supplier of Sentryfugal Shivar. Our product range also comprises of Continues Ball Mill, Ice Crusher and Air Classifier. 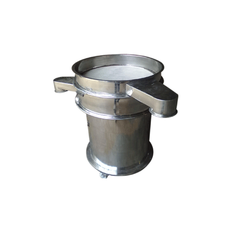 We have set a benchmark in the industry for manufacturing and supplying Centrifugal Machine. The offered machine is impeccable in performance and is used for the separation of particles based on their weight in chemical, food processing and fertilizer industries. This instrument is made from high grade of metal and is resistant to corrosion. It is easy to install as well.